This will be part of a series of exhibitions, about the physiology of vision, and photographic techniques. The other exhibitions will show techniques of recording movement, and three-dimensional photography. The exhibition, to be held in the National Technical Museum in Prague, will accompany the workshop. However it will also be available to the wider public, and will be part of the 100th Anniversary celebrations of the museum. A number of three-dimensional objects will be on display, partly from a unique collection documenting Czech national contribution to three-color photography, and partly the photographic equipment from applied three-color photography, where the basic physical and physiological effects can be demonstrated. 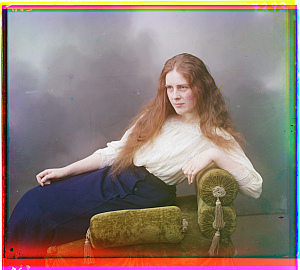 Color photographs in the Exhibition will be digital reconstructions from original three-color negatives, taken from the collection of the Seidel studio in Český Krumlov, and from the collections of the US Library of Congress. This exhibition, in the National Museum of Photography in Jindřichův Hradec, will focus more on the color photographs themselves, rather than the technology of their creation. The intention is to present work of various photographers who were using the technique of three-color photography. Exhibition will introduce works of A. Miethe, S. M. Prokudin-Gorsky, H. Renbjör, C. Moffat, J. Seidel and more. Opening: Saturday, November 1st, in Jindřichův Hradec. Fred Payne Clatworthy was born in Ohio in 1875. After several visits to the West, including bicycling from Chicago to California, Clatworthy settled in Estes Park, Colorado in 1905. 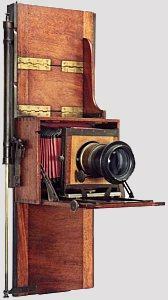 A self-taught photographer, Clatworthy was known for his work with the Lumière Autochrome, the firsttrulysuccessfulcolorphotographicprocess.Inadditionto running his Estes Park studio, “Ye Lyttel Shop”, where he sold western curios and hand-colored photographs, Clatworthy did assignments for The National Geographic Magazine as well as presenting autochrome lectures throughout the US. Over one hundred Clatworthy autochromes appeared in National Geographic between 1923 and 1934. In addition to his stunning color work documenting the Western United States, Clatworthy traveled widely, photographing with the autochrome process in Mexico, New Zealand, and Hawaii. 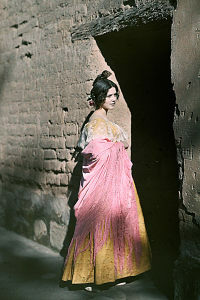 Clatworthy claimed to have made over 10,000 autochromes during his career. Clatworthy died in 1953. Mark Jacobs, Madison, WI, owns a world famous collection of autochromes, including hundreds of Clatworthy‘s works. He visits the Czech Republic thanks to U.S. Embassy support. The exhibition from the collection of Mark Jacobs. Opening day: November 2, 2008, 5pm. The exhibition will be opened by Mark Jacobs, photo historian.